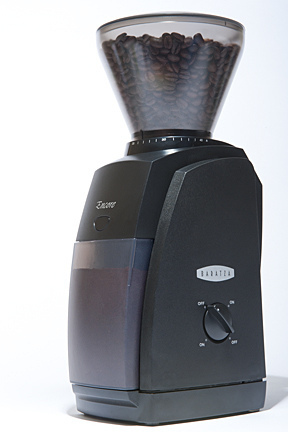 Baratza introduces the Encore, a new spin on the previously popular Maestro Plus. The Encore has all the capability, style, and ease of the Maestro Plus but with a few updates that improve performance and provide even greater value. 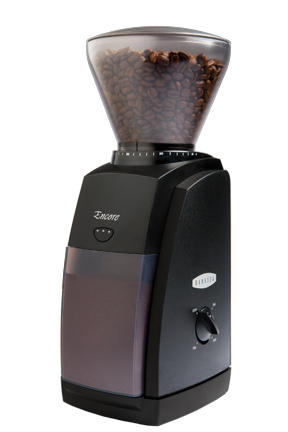 Baratza has increased the grinding range and capability with its new Encore which can now span from very fine espresso grinds to the standard coarser ones. 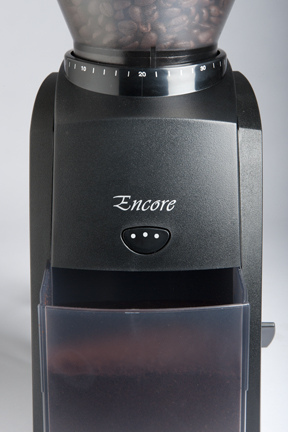 Encore has 40 individual grind settings, from coarse to fine and everything in between. Another big enhancement with the Encore is the new 40 mm hardened steel conical burr system made in Europe. With it you are assured an accurate and consistent grind every time. The motor and gearbox are all redesigned. 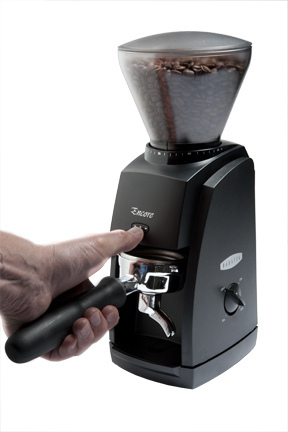 An efficient DC motor grinds your beans quietly and smoothly, without over-heating. By rotating at 450 RPM coffee will not have any burned taste that can be caused by higher speed motors . A unique speed control system, uses a combination of both gear and electronic speed reduction to maintain the burr rotation at 450 RPM. Baratza has also introduced the second generation Gearbox with a new driveshaft. This addition has significantly increased strength, durability, and noise control on the new Encore grinder, making it that much stronger than the Maestro Plus. The drive gear is made of 15% glass filled thermo plastic, making it quieter than a metal gear, has more shock resistance and all around strength. According to Baratza, during testing stainless steel screws were thrown into the burrs and all aspects of the grinder stopped immediately with no damage to the gearbox or motor. 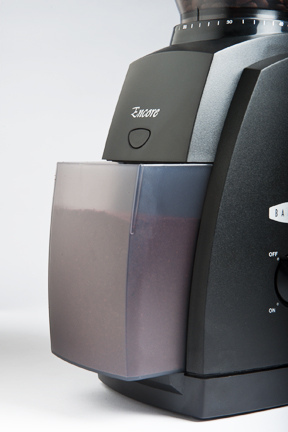 The easy to use front-mounted power button grinds beans directly into the grounds collector and slides out to be used in any mechanism from an espresso machine to a french press. With these fantastic updates and newly designed features, the Encore is a highly-capable and durable grinder for an affordable price. Selling at the same price point as the Maestro Plus it replaces, the Encore is a solid value.